Dinosaurs and dragons are ancient animals that had never viewed by humans, however ancient animal fossils prove the animals there. 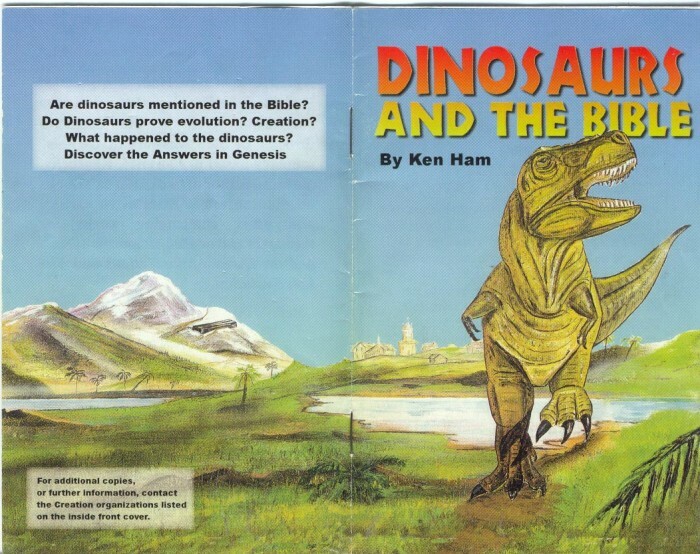 The Bible also tells us that dinosaurs and dragons really ever lived on this earth.The Bible mentions two kinds of animals no counterpart at all in modern languages. Description of the second beast is more like a description of ancient animals rather than the modern animal. Both types of animals are called by the name of “behemoth” and “leviathan”. Both are mentioned in the book of the prophet Job, the oldest book in the Bible, even older than the Torah is revealed in about the 1200s BC. If the tail could reach 40 meters then the huge beast. It is supported by a description of where the animal lives in the river and marsh. Giant animals need a place to stay in the swamp or in the water to sustain his weight. The name “behemoth” Majestic plural indicates that this animal is the king of the animals, not just the king of the jungle, at least the king of beasts in the region of Prophet Job lived. 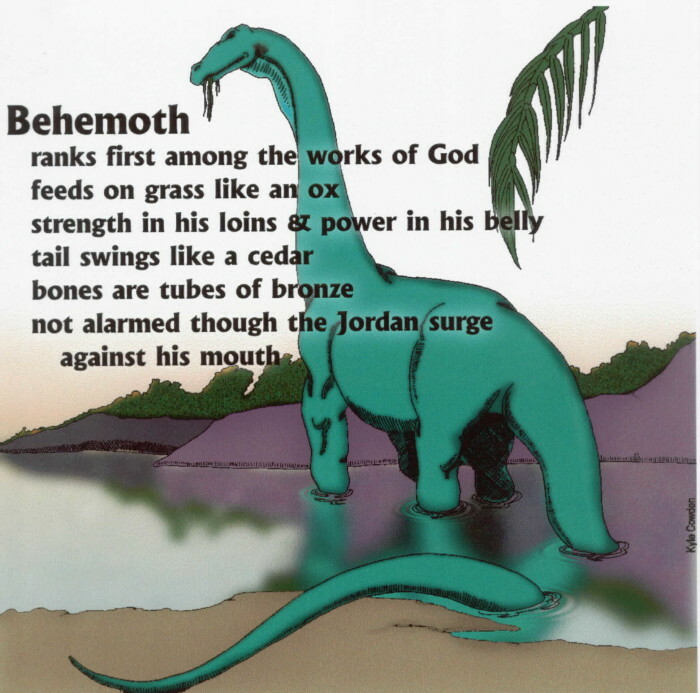 Verse 19 supports the interpretation of the behemoth as the king of the beasts as well. Although grass feed, the animal had a sword. It is not known exactly whether the sword canine teeth, tusks, claws, horns, or what. To be sure, this gun is very intimidating other animals and make him king of the beasts. Besides being a major factor and armed, the other causes he became king of beasts is his physical strength and muscles. He is not the type of animal that can be tamed by humans. 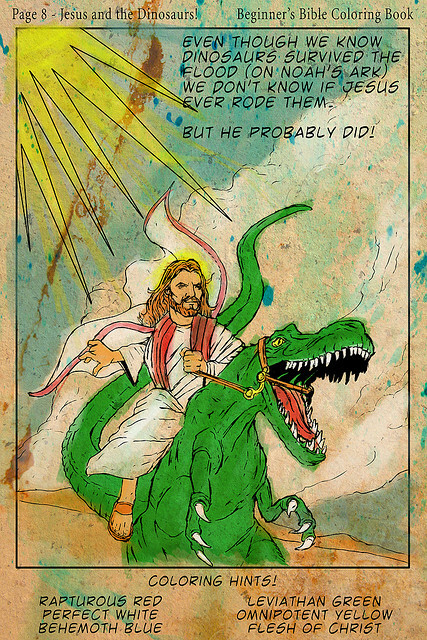 Given the scale of the animal, then we can guess, it is not as small as the Jordan River Jordan River early today. 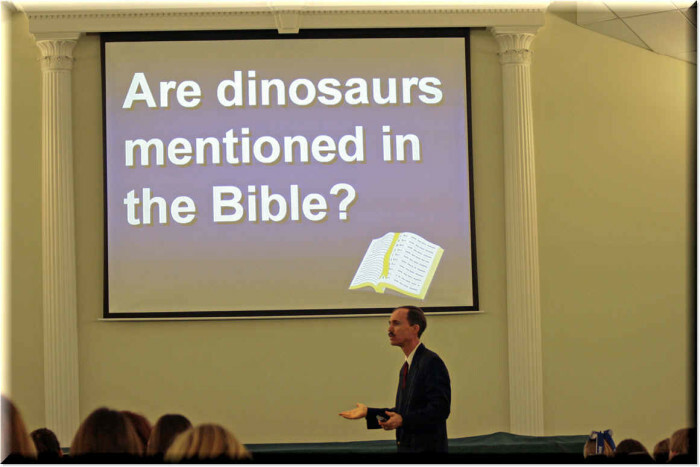 When we look at the dragons, ancient lizards originating from the same era with dinosaurs, still alive today, it’s not unusual when dinosaurs still exist until the time of the Prophet Job.